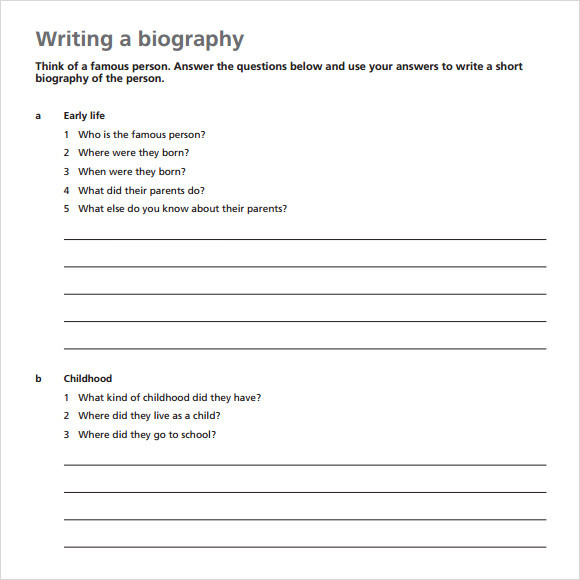 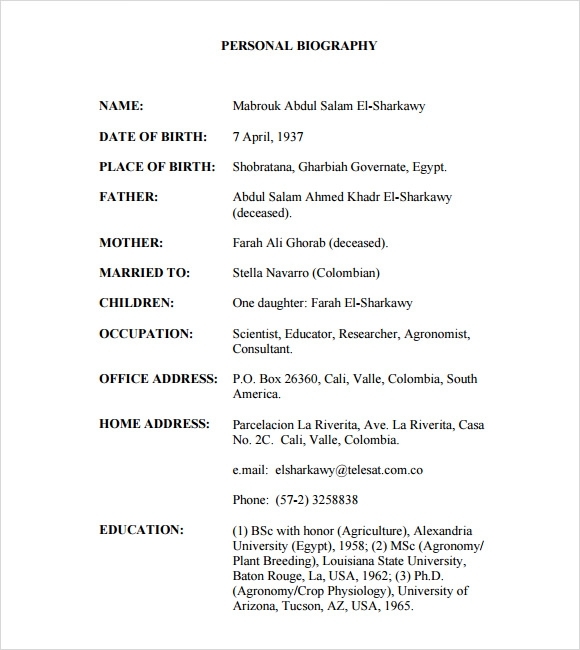 The purpose of the biography timeline as the name indicates is trailing the life of a person from the start that he or she is given birth, name of the parents, hometown, educational attainment, remarkable achievements up to the present or death. 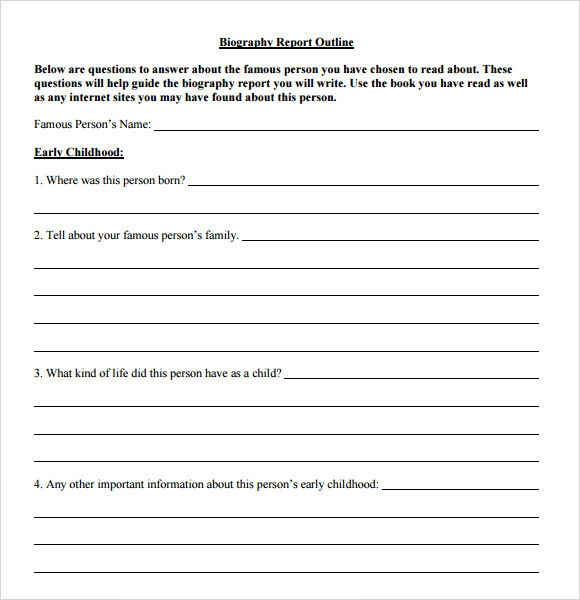 A tracking tool that sets every human subject’s experiences be recorded mainly those that has an impact to the subject and to others. 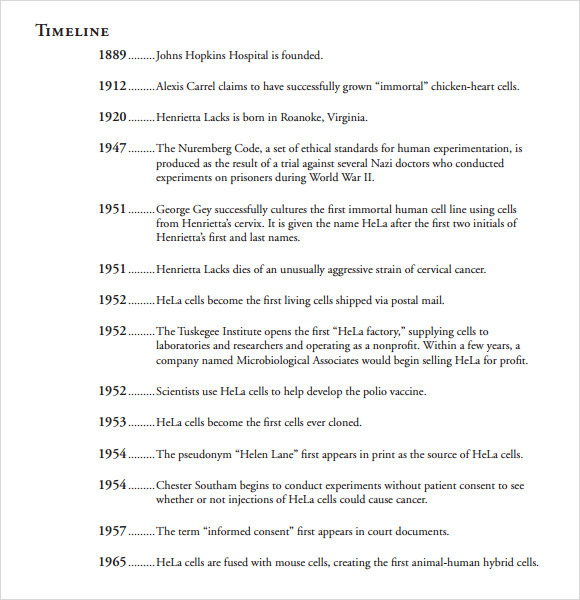 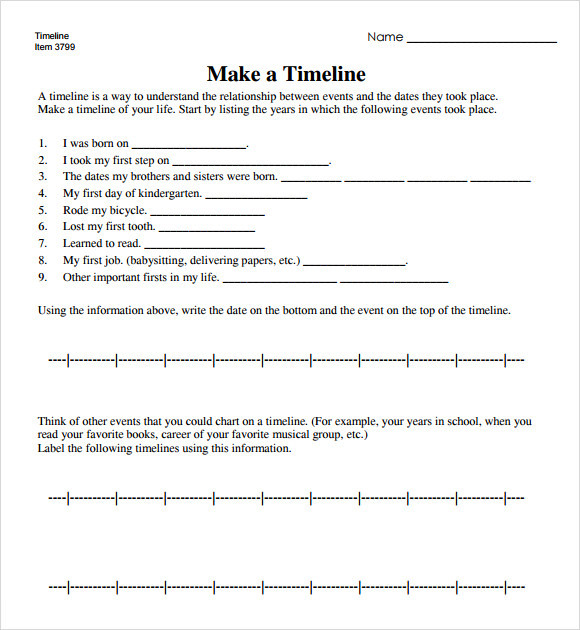 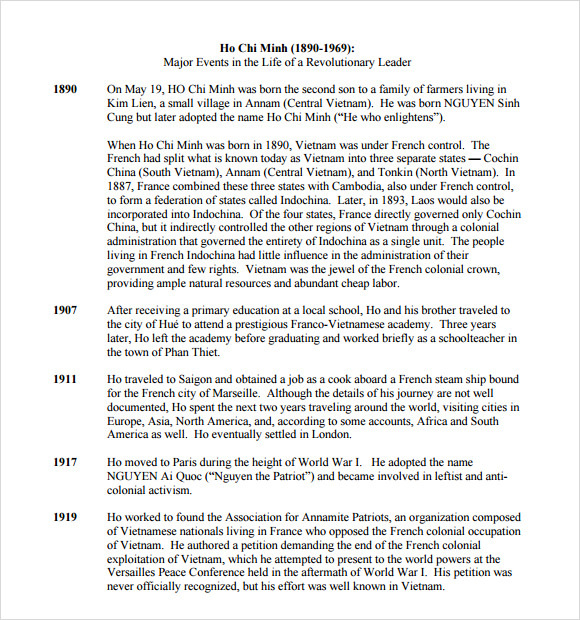 The example templates can be your Sample Timeline Templates format that can be downloaded which will help anyone complete the memoir of a person. 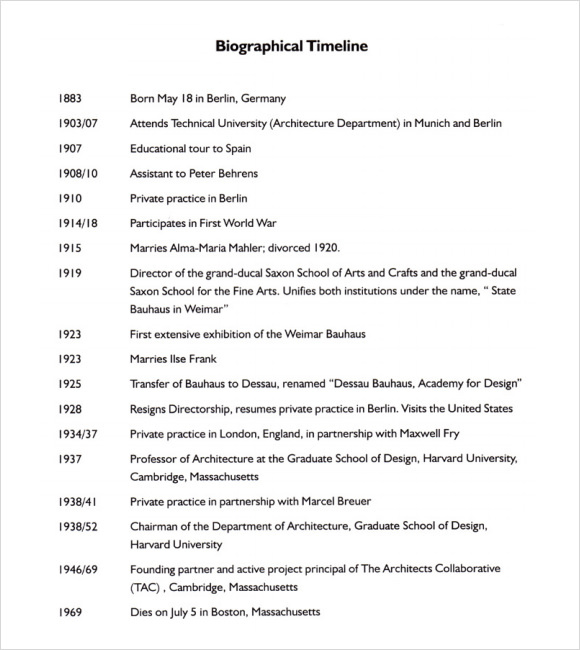 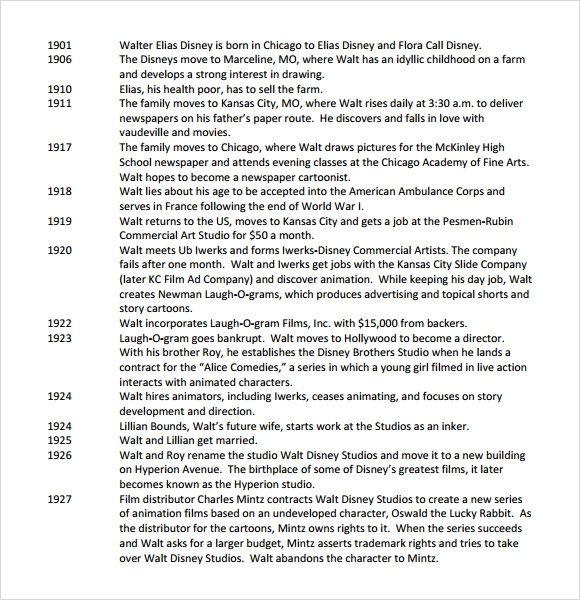 The biography timeline will make anyone have their existence be at record that can teach lessons to the one who will read it and leave a mark in their life.